Affordable and sensible, the Daihatsu Terios is a SUV in the Japanese marque's line-up that offers buyers plenty of bang for their buck. Measuring 4.06 meters, 1.70 meters, and 1.74 meters, length, width, and height respectively, the Terios is one that embellishes the streets of the Cairo. Flaunting a price tag north of EGP 189,000, the Terios's range targets a wide segment of the market. Armed with a 1.5-liter 4 Cylinder engine that generates 103 horsepower and 140 Nm of torque, the Japanese SUV gets paired to a 5 Speed Manual transmission that helps it in hitting 100 km/h in 13.7 secs and a top speed of 160 km/h. Going up against the hugely popular Suzuki Jimny, the Daihatsu Terios is in a class of its own. Looking for Older Daihatsu Terios Models? 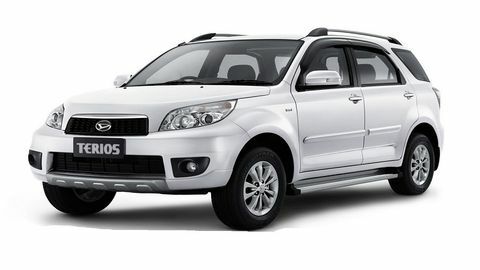 Looking for Used Daihatsu Terios Instead?